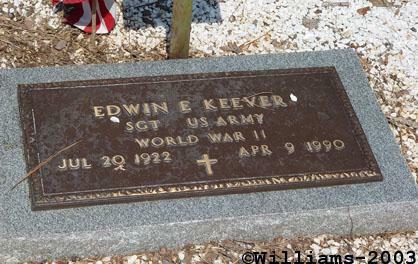 Edwin Keever, son of Thomas G. Keever and Francis "Fannie" Knight. Edwin E. Keever, of Old Tennessee Road, Cartersville, died Monday, April 9, 1990. 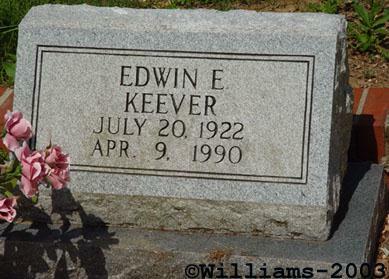 He was born July 20, 1922 in Bartow County, a son of the late Tom G. and Fannie Knight Keever, was a retired truck driver for North Alabama Transportation, and of the Baptist faith. Survivors include a sister, Bessie K. Brooks; three half-sisters, Sallie K. Angle of Alabama; Faye K. Etheridge, Dalton; Charlateen K. Woodard, Lafayette; a half brother, William Keever of Alabama; sister-in-law, Eliza A. Keever, Cartersville and a number of nieces and nephews. Funeral services will be held Wednesday at 2 p.m. from the Chapel of Owen Funeral Home with the Rev. N.E. Abernathy officiating. 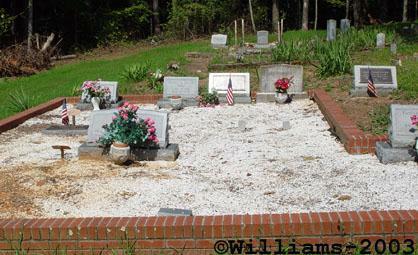 Interment will follow in Old Macedonia Cemetery.